The PEPPERMINT FUZZ is similar to a fuzzface in architecture but has specific tweaks to make it more flexible and sound much crazier. Positive ground power. If you share a power supply with a normal pedal (negative ground), you will destroy the power supply. This means you can’t use a daisy chain or a power supply with only one output. 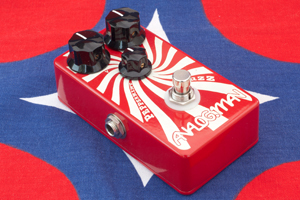 The PedalPower2 has all isolated outputs so that one would be safe.